A new study on the economic effects of the political revolution in Egypt suggests that freedom came with a price. Tourism, which has long been a driver of the Egyptian economy, virtually dried up in the months following the ouster of the country's ruling family. But the country is gradually ramping up its tourism and manufacturing sectors as foreign direct investment picks up as well. According to Nemr Kanafani, senior economist at the National Bank of Kuwait, real GDP growth had accelerated to 5.6 percent in Egypt on the eve of the revolution as the economy was on a moderate recovery path. Massive popular protests brought the economy to a virtual standstill and forced businesses and investors to take a more cautious stance. NBK expects growth in the coming fiscal year to have slowed to 1 percent; the fiscal year 2011-12 should see growth recover to 3-4 percent. The NBK report says the tourist industry was the hardest hit, with foreign visitors discouraged by the uncertainty and by the breakdown in services. The number of visitors to the country fell by 82 percent in February from the previous month. By May, the number of arrivals improved, but remained 41 percent lower than its level a year before. The Ministry of Planning's production index for the sector was down 65 percent year-on-year in February. The year-on-year drop had shrunk to 37 percent by May. Tourism receipts in the first quarter of the year were 34 percent lower than a year before. The manufacturing sector was also heavily affected by the unrest, though it saw a far smaller decline of 14 percent in its production index. But this sector's index was up 21 percent by May, indicating a strong recovery. Meanwhile, according to the ministry's production index, three sectors appeared largely unaffected with their growth remaining strong. These included the gas and oil sectors, and shipping activity through the Suez Canal. These three sectors account for about 15 percent of economic activity, according to NBK. To the drop in tourism receipts was added a decline in worker remittances and foreign direct investment. Remittances were down 2 percent year-on-year and 11 percent from the prior quarter. Still, growth in remittances during the 12 months ending March 2011 remained quite strong at 50 percent compared to the previous 12 months, writes Kanafani. In contrast, Suez Canal receipts and oil exports held up throughout the first half of the year. While there were some minor disruptions during the weeks of the protests, activity was able to recover quickly with minimal lasting impact. 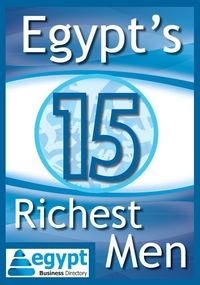 This has helped bolster Egypt's current account at a critical time and provided some measure of stability, he said. Balance of payments weakness was also evident in capital and investment outflows. Foreign direct investment registered a somewhat modest outflow of $164 million in the first quarter of the year following a $656 million inflow in the prior quarter. Portfolio investment was harder hit with a $5.5 billion outflow during the first quarter which followed a smaller outflow of $1.3 billion in the fourth quarter of 2010. As a result, the 12-month period ending March 2011 saw a small outflow in portfolio investment while FDI maintained a large $4.5 billion inflow, according to NBK. Jay Akasie is a business and financial journalist and contributor to The Fiscal Times.